Download the PDF version of this Fact Sheet. 3 out of every 100 children (2.9%) lacked health care coverage in 2016 (see Figure 1). 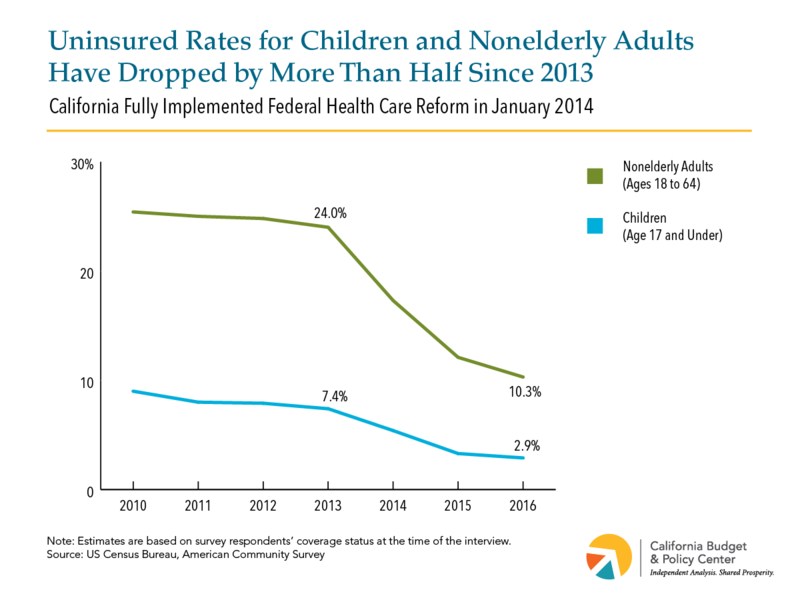 This is down by over two-thirds since 2010 and by more than half since 2013, the year before California fully implemented the ACA. The uninsured rate for adults ages 18 to 64 also has fallen, but remained at a relatively high 10.3% in 2016. Uninsured rates for Asian, black, and white Californians declined by over 60% from 2013 to 2016 (see Figure 2). 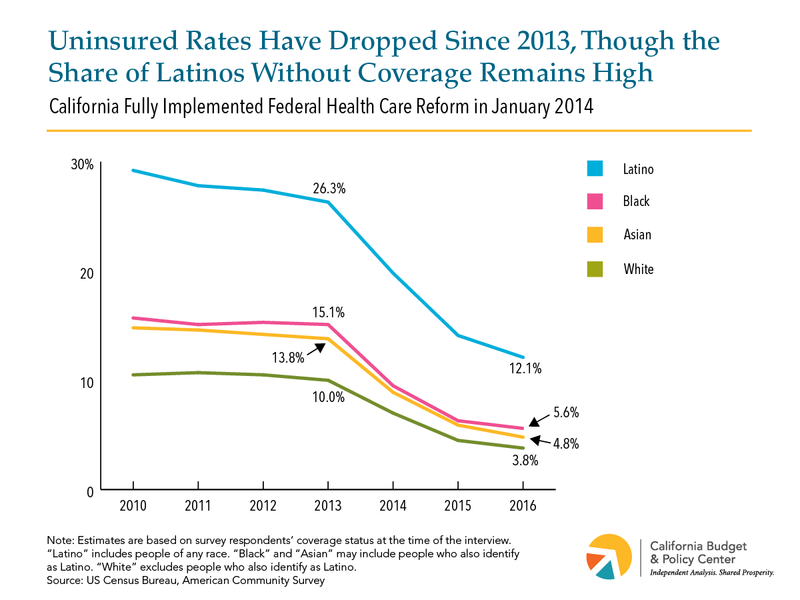 The share of Latinos without coverage also has dropped, though Latinos’ uninsured rate remained in double digits in 2016 (12.1%). Further reducing uninsured rates would require improving the ACA. Yet, the President and some congressional leaders continue trying to roll back health care reform. A new US Senate plan to dismantle the ACA and deeply cut federal funding for Medicaid — the Graham-Cassidy proposal — would likely cause millions of Californians to lose coverage.